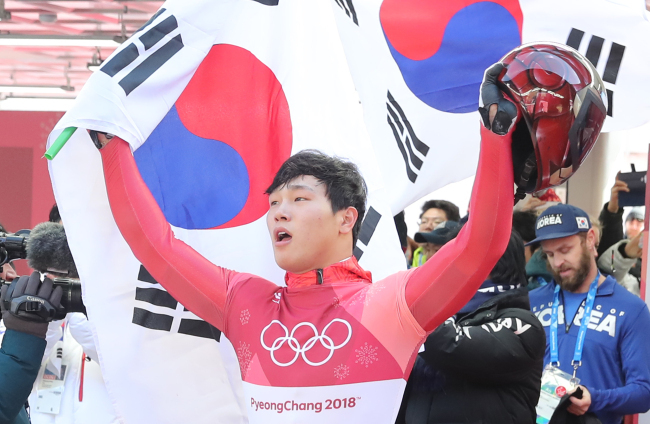 South Korea’s “Iron Man” Yun Sung-bin claimed a historic gold in men’s skeleton at PyeongChang on Friday, becoming the first athlete outside North America and Europe to win an Olympic medal in winter sliding sports. 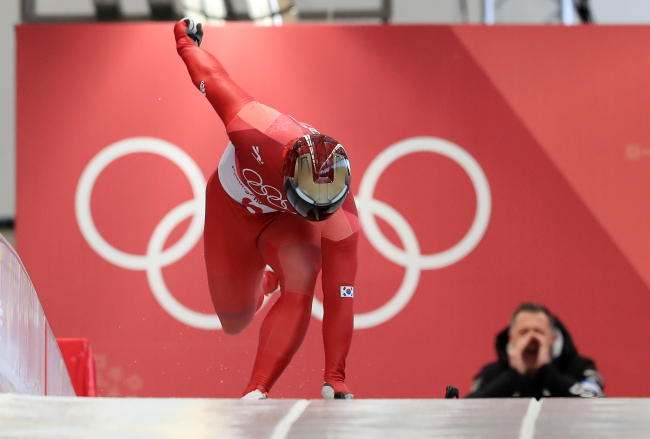 The 23-year-old’s four-run time of 3 minutes, 20.55 seconds was 1.63 seconds ahead of Russia’s Nikita Tregubov who claimed silver, marking the largest victory margin in Olympic skeleton history, and the largest margin in any Olympic sliding competition since 1972. “I just want to turn off my phone for a day and sleep,” Yun told reporters after his win. 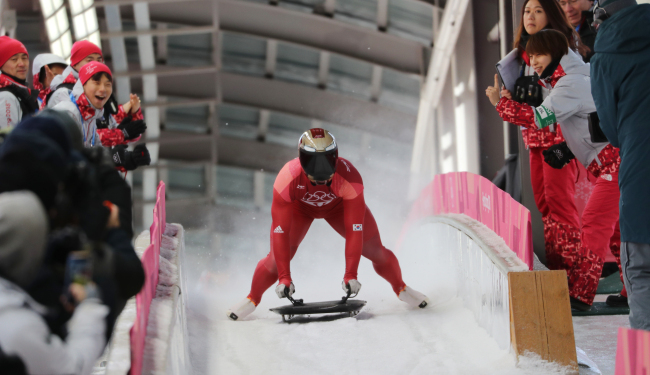 Born in 1994 in South Korea’s southern coastal region of Namhae, South Gyeongsang Province, Yun grew up knowing nothing about the winter sliding sport. Still, as a child Yun always enjoyed running around at the beach, and excelled in many sports at school including soccer, badminton, competitive running and jumping, among others. His childhood hero was South Korea's ex-Manchester United footballer Park Ji-sung. Yun moved to Seoul when he was in middle school, and continued playing sports at school hoping to get into a sports university. 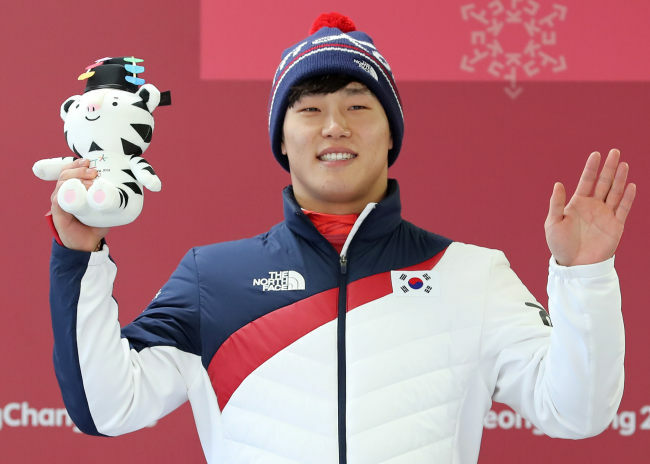 While playing basketball in high school, Yun was spotted by his physical education teacher, Kim Young-tae, who was also serving as one of the officials at the Korea Bobsleigh Skeleton Federation at the time. Back in 2012, at a meeting with South Korea’s former bobsledder KangKwang-bae, which was arranged by Yun’s teacher Kim, the young athlete famously showed up in his shorts and slippers, not having a clue what skeleton was. 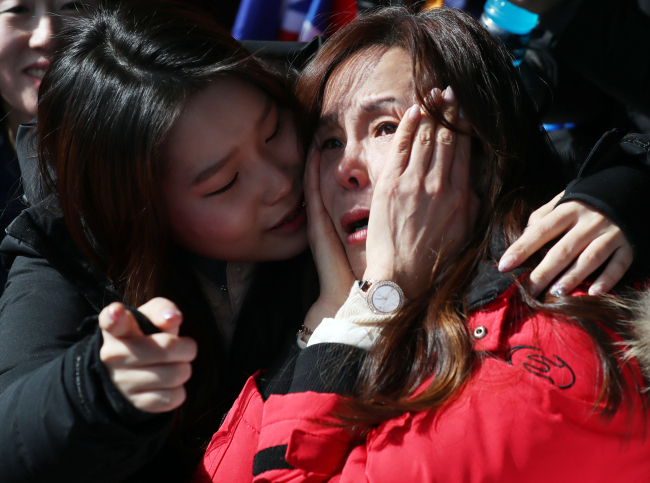 Regardless, Yun’s talent was apparent to Kang, who was associated with International Bobsleigh and Skeleton Federation at the time, and Yun was asked to train for the upcoming Sochi Olympics. Only about three months into the sport, Yun made South Korea’s Olympic skeleton team for the Sochi Games, and finished 16th at the 2014 Olympics. In spite of his talent, Yun reportedly did not fall in love with the sport at first sight. After one of his first skeleton races, the young slider, who was 18 at the time, was terrified by the speed and broke down to tears. He reportedly called his mother and cried, saying the sport is terrifying. After receiving some consolation from his mother and other family members, Yun went back to training. But after that, the athlete became unstoppable. The slider is known for eating up to eight meals a day to gain more than 10 kilograms after getting into the sport, to gain more speed on the sled. In the 2015-16 season, Yun earned his first World Cup gold in St. Moritz, along with a silver at the 2016 FIBT World Championships in Igls. 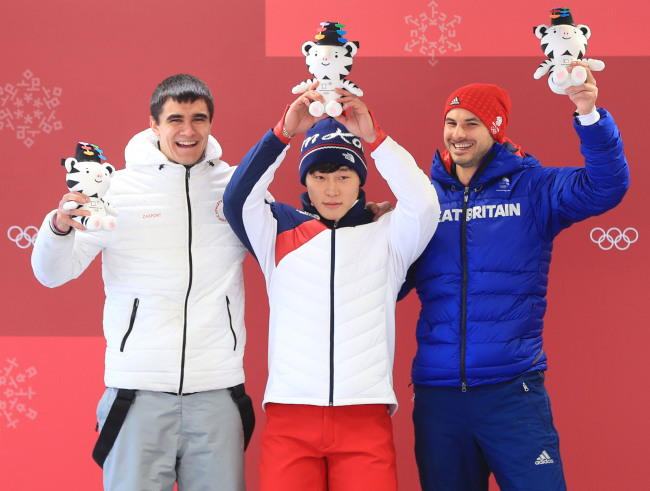 Prior to PyeongChang, Yun got his first overall title, winning five gold medals and two silvers in the 2017-18 Skeleton World Cup. He was famously nicknamed “Iron Man,” after racing in an Iron Man-style helmet and red skinsuit. “Iron Man is just one of my favorite characters,” Yun told reporters after his win on Friday. 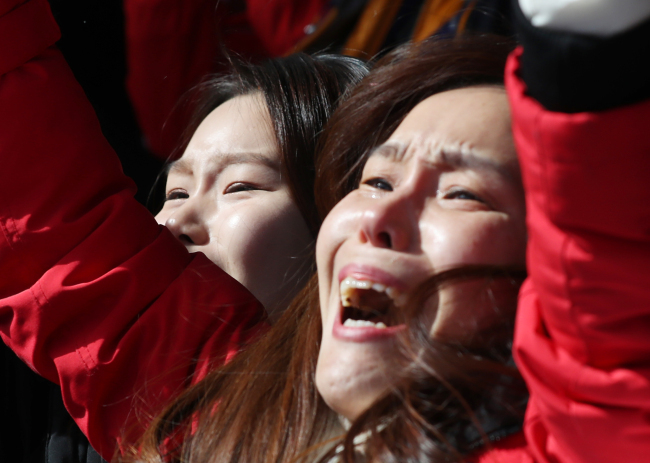 The “Iron Man” indeed became a national hero on Lunar New Year’s Day in South Korea by delivering the fastest run down the ice in front of an overjoyed home crowd. 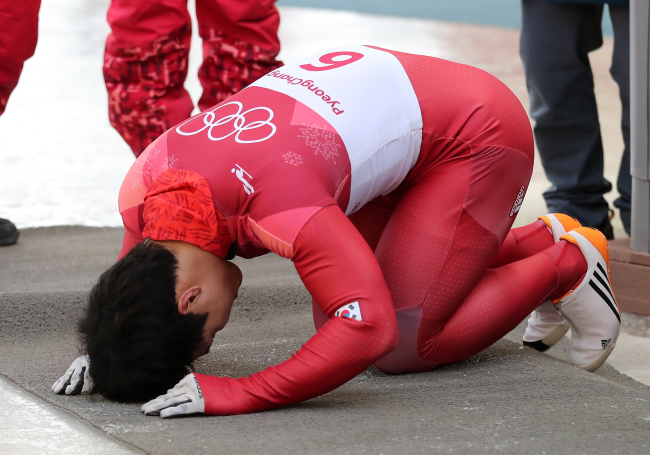 After finishing his Olympic winning race, Yun gave a deep bow on his knees to the crowd after taking off his helmet, as most Koreans do on Lunar New Year’s Day to show respect to the elderly. “I’m still not perfect,” Yun said, after sharing he hopes to compete at the 2022 Beijing Olympics.